Simplify 2018, Logile’s annual users conference and retail summit, kicked off with record-breaking attendance on Tuesday, September 25th at the Margaritaville Beach Resort in Hollywood, Florida. The three-day event featured a jam-packed workforce management and retail operations agenda, and it was the best Simplify yet! 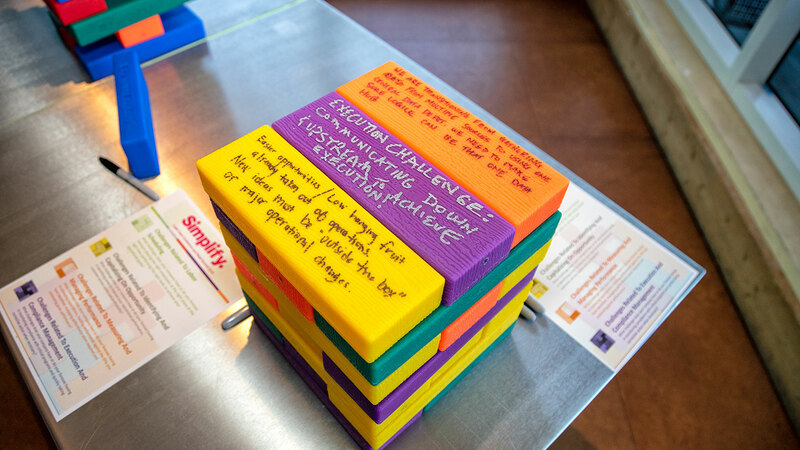 Logile Simplify 2018 attendees focused on solving retail store operational challenges with the Jenga Challenge on opening night. This year, 21 retailers sent representatives to Simplify for a workforce management immersion experience and critical insights to improve their performance. The summit’s impressive growth is a testament to the incredible value and quality that Simplify delivers. We welcome our new attendees joining their fellow retail industry peers at the must-attend retail labor management event of the year! The Simplify 2018 theme was Connect. Retail leaders connecting with their industry peers, their employees, their customers, their operational strategies and execution, and with the Logile team. It is about engagement, full circle. We integrated these connection points as a core focus into all aspects of Simplify. “Connect” was at the heart of our agenda—from our keynote presentation, to our core sessions, customer and industry panels, demo breakout groups, and recreational activities. It wouldn’t be Simplify without the stellar formal session content that attendees have come to expect, and this year’s program did not disappoint. Our keynote presentation by award-winning speaker Kit Welchlin on communicating across the four generations working in retail today—baby boomers, Gen X, millennials and Gen Z—provided perspective into each generation’s motivations and behaviors. Attendees walked away with strategies to effectively connect with each generation and prepare for the shift to Gen Z as the next generation of retail employees. 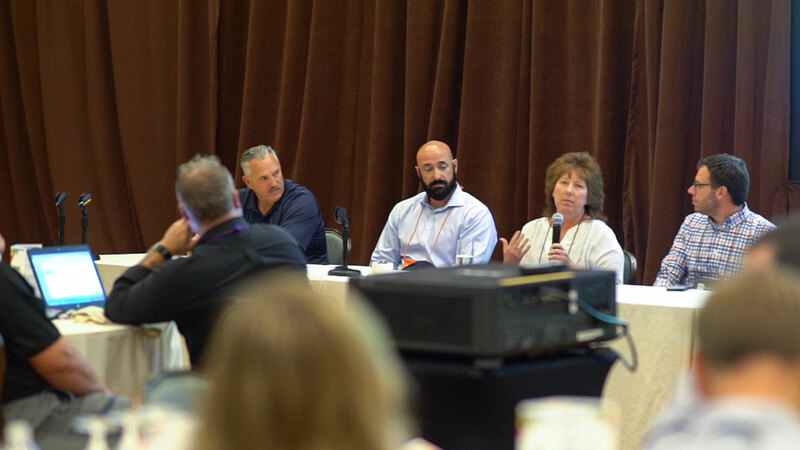 Retail leaders including Lowes Foods, Wegmans Food Markets, Giant Eagle and Walmart shared their experiences, insights and successes during Voice of the Retailer peer panel and lessons-learned sessions addressing workforce management trends and store operational challenges. Labor standards, earned hours and task management were some of the top-of-mind topics for both retailers and the Logile team. Logile thought leaders also covered important upcoming challenges and opportunities such as predictive labor scheduling legislation, preparation and impacts within the retail industry. We showcased recent Logile innovation areas, including predictive scheduling, mobile apps, self-learning and voice-driven technology, and our extensive user experience reinvention. Voice of the Retailer panelists at Logile Simplify 2018. Interactive breakout sessions with rotational demo stations brought real business challenges in labor modeling, forecasting and scheduling to life with Logile’s strategies and solutions to address them head-on. Founder and CEO Purna Mishra concluded the formal agenda by presenting the state of Logile and our strategic direction to continue pioneering innovation in shaping the future of workforce management and transformational store operations. Of course, true to tradition, Simplify was not all work all the time. One of the most beneficial aspects of Simplify is the intimate networking opportunities to learn from fellow retail leaders in addition to unfettered access to Logile innovators. We’ve heard time and again from our customers that this setting delivers compelling and unique value! To initiate our event this year, we took full advantage of our sunny Florida venue with a golf and scuba adventure day. We got the networking started with a little friendly competition as our Golf Scramble participants teamed up to compete for such bragging rights as longest drive and closest to the pin. Meanwhile, our Discover Scuba! 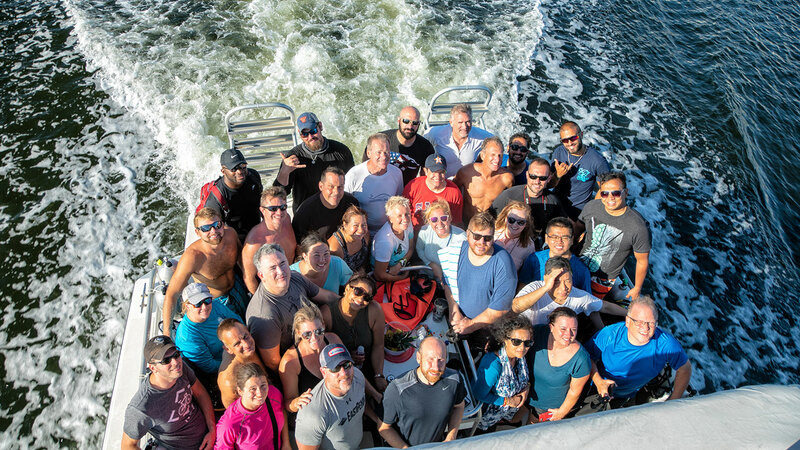 participants had a blast connecting during their introductory training and beautiful boat ride out to their deep-sea diving experience. Logile Simplify 2018 attendees join their retail peers and Logile team members for a deep-sea scuba diving adventure day. From our initial welcome reception, to our tropical-themed poolside barbeque, to the moonlit dinner cruise and casino night celebration that closed out the conference, Simplify delivered the right balance of fun and networking wrapped into a knowledge-packed summit designed to provide maximum ROI. If you’re new to Simplify and want to find out more about the event or Logile solutions, contact us at info@logile.com.